We've given our popular flapjacks a protein upgrade, combining golden honey with whole rolled oats and mixed seeds. The result is this delicious pocket-sized pick-me-up! At graze, we're all about two things. Seriously tasty, wholesome ingredients - and imagination. Why? Because together, they've created over 1000 (and counting) ingenious snacks for hungry grazers everywhere. Freepost, The Giant Graze Box. 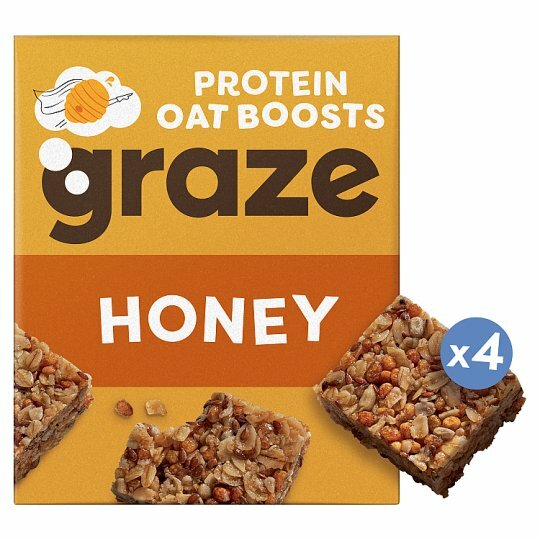 To get in touch, visit us at graze.com/in-stores or write to us at Freepost, The Giant Graze Box (no stamp required).